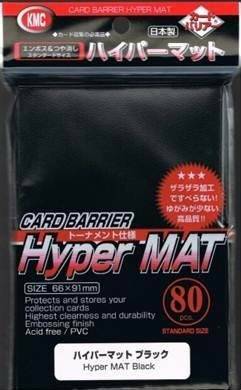 We have found these new Hyper Mat sleeves to be far less slick than anything on the market. Easier to shuffle and easier to keep stacked! Sold in packs of 80.